At Get Man and Van we know that customers need flexible and versatile removal solutions which cover their requirements in full. 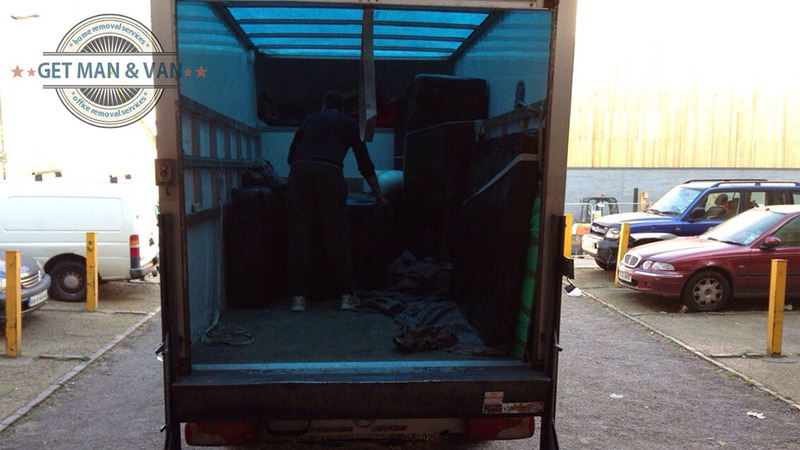 In light of this we maintain and provide an inexpensive and efficient man and van removal service in London. Our man with a van service is the perfect solution for when customers need to relocate single items, high value belongings like music instruments, artwork, collections, valuable furniture pieces etc. and do so quickly and without spending too much. The service is also ideal for delivery or transportation of large store purchases or internet order items. 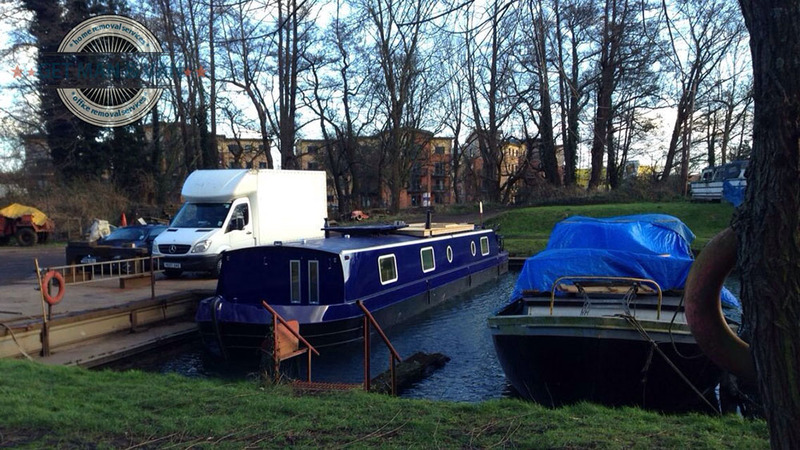 The man and van removal service in London is convenient and works around your personal schedule and availability. Our van drivers will come out to your address in a convenient time and day of the week in order to collect items for removal. 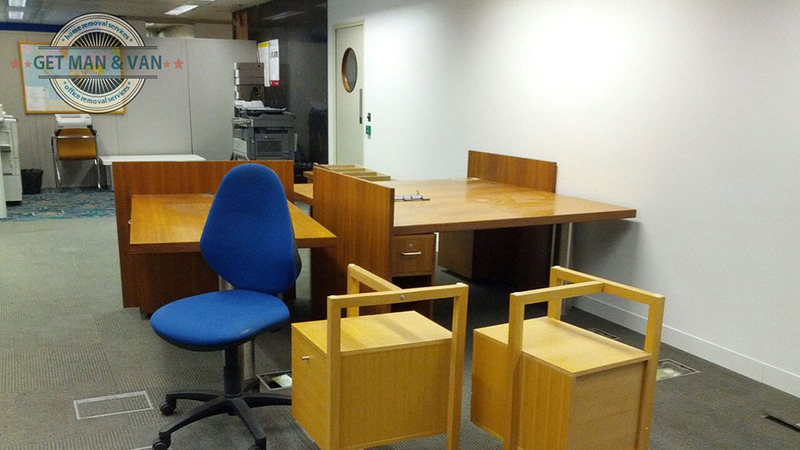 We do collections and delivery throughout Greater London and surrounding areas. 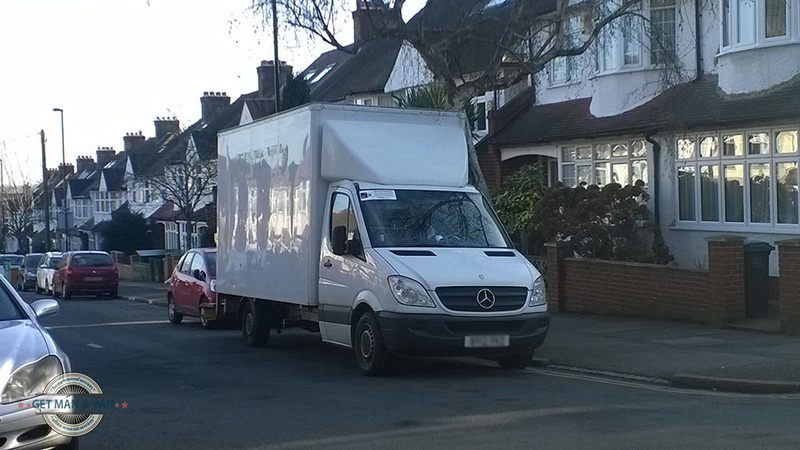 We have different types of removal vehicles at our disposal, ranging from compact Transit vans to heavy duty Luton vans equipped with tail lifts. Our technical capacity gives us the necessary transport efficiency and flexibility, which translates to cost effective van removals for our customers. If required, we will also handle the packing, wrapping and securing of customer belongings prior to transportation. We will do so with utmost care and attention as we know that good packing is essential in order to avoid damage or misplacement of items during handling and transit. Packing will be done by our van drivers or a designated assistant who will be traveling along with the driver. For packing, we use only high quality, industry grade packing materials. 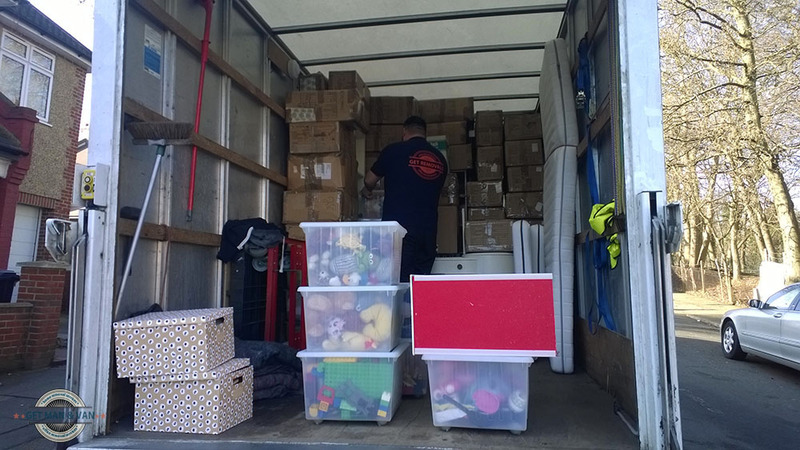 When getting your removal van in London, we would need you to provide us with as much information as possible on the items or load we will be shifting. This will help us determine the right type of vehicle, and if there will be need to dispatch an additional person along with our driver. Please bear in mind that we, from Get Man and Van, are also licensed to carry out commercial and residential junk removals, so we can clear away any rubbish from your property independently or as part of your man and van service. This option is quite handy as we can deal with both the removal and property clearance – meaning customers have one less thing to worry about. * Our quotations and pricing do not include any hidden fees or unmentioned charges, there will be no quote or price amendments without customer knowledge and approval. 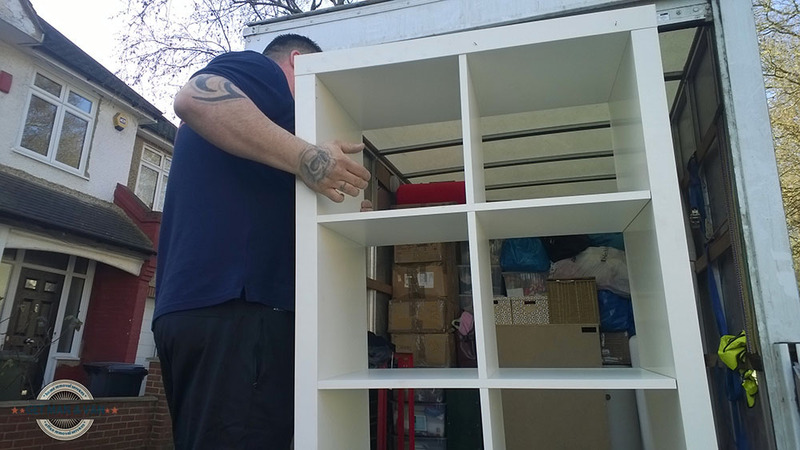 Get Man & Van has been in the industry long enough to know that no two removals are alike and that each customer has different moving needs they shouldn’t squeeze into a laid-out plan. 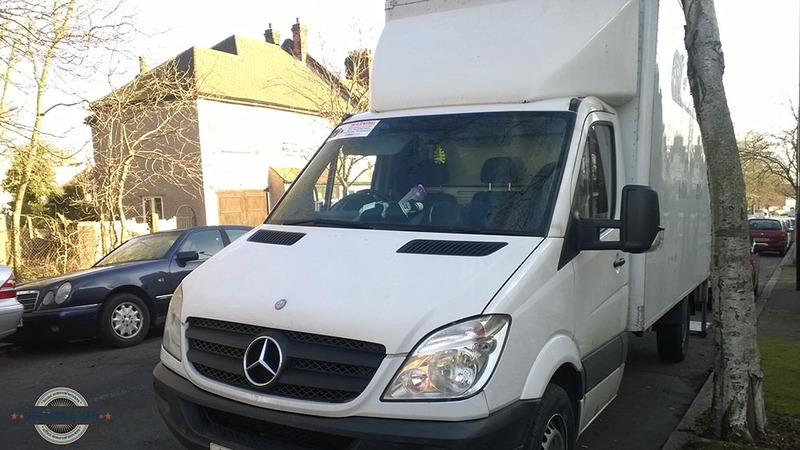 This is why we are dedicated to providing our clients comprehensive man and van services in London tailored to their specific requirements, and we are proud to say that each service we offer is customizable to meet your needs. Customer satisfaction is guaranteed, therefore, don’t hesitate to contact us. London is an incredible city with rich history and amazing landmarks. But, did you know that London was not always called London? It used to have several names before it received its current name, and some of them are Londonium, Ludenburg and Ludenwic. Another interesting fact about London is that it is one of the richest cities in the world, where more than 70 billionaires live. However, it is also the 6th most expensive city to live in. The company (Get Man & Van) is fully licensed and holds comprehensive insurance. For extra customer convenience we accept multiple types of payment including cash, credit card, as well as bank transfers and invoicing too. Our private and business customers can enjoy punctual and attentive round the clock support, twenty four hours a day, seven days a week. Customers can also receive free, spot-on removal advice from us at any stage of the service. We will be happy to clarify and discuss any queries you may have toward how and why we do things. Being the world class city it is, London contains no less than four World Heritage Sites, designated by the UNESCO program. These are the Tower of London – a historic castle located on the north bank of the River Thames. Its full name is Her Majesty’s Royal Palace and Fortress. The next site is Kew Gardens, or the Royal Botanic Gardens in Kew. The gardens hold the world’s largest collection of living plants. Kew Gardens were founded in eighteen forty. The next site is more of an area, and comprises of Westminster Palace, Westminster Abbey and St Margaret’s Church. The fourth and final site is Greenwich, including the Royal Observatory. 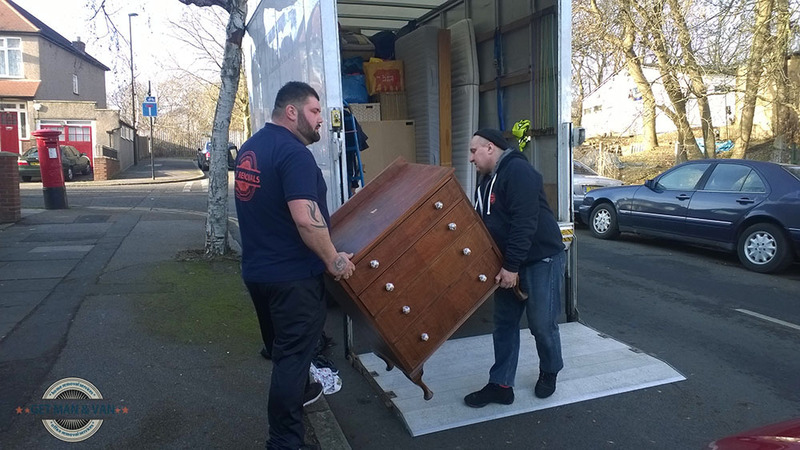 Get Man and Van is a London-based professional moving firm with an established reputation and scores of happy clients, many of whom come to us again and again. Call us for an efficient, affordable and on-time man and van services in London that will help you get your entire home or office moved, or transport smaller amounts of personal items, furniture and appliances across London. We offer full coverage of professional man and van services in London, available in all boroughs and postal codes of the capital. Our team consists of trained, capable technicians who are vetted and experienced in moving homes, offices and single items. What is more, our team operates with state of the art equipment and modern, GPS-navigated vehicles that prove suited to the requirements of projects big and small alike. Feel free to contact Get Man and Van at any time and count on the fact you will receive indeed the best moving van service in London. Our friendly client support is ready to answer all questions you have, and deliver a no-obligation quote without charge. Reach us via phone or the online form which you will find on our website. London, the largest city in the UK, is a place of thriving global economy, tourist attractions and cultural landmarks. Over 8 million people live in the 33 boroughs of the capital and their number is rising each year. Some of the most iconic places of interest in London today include the Palace of Westminster, Westminster Abbey, Tower Bridge, The British Museum, Kew Gardens and many more. River Thames divides the city into two distinct areas – south and north – and it is a landmark in its own right.